Epiphone Signature Artist Matt Heafy of Trivium returns with the "SnØfall" Les Paul Custom 7 String. Inspired by Trivium’s critically acclaimed album Silence in the Snow, Heafy brings a new twist to his signature Custom Les Paul design with a beautiful Alpine White Gloss finish, Phenolic fingerboard, and EMG active pickups. 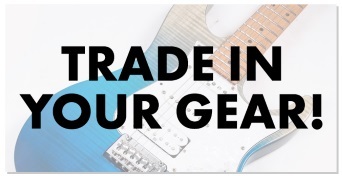 The guitar comes with a premium gigbag and hand-signed Certificate of Authenticity. The SnØfall is constructed of a Mahogany body with a Plain Maple Veneer top in a beautiful Alpine White Gloss finish. The body has black and white layered binding as does the “clipped ear” headstock. The Mahogany neck has a 1960's SlimTaper™ “D” profile and is glued to the body with a deep-set neck joint with “Axcess” heel for smooth upper fret access. The Phenolic fingerboard has a 24.75” scale length, a 12” radius, and 22 medium jumbo frets. The adjustable truss rod has a white and black cover with "MKH Les Paul Custom" in black silkprint and Epiphone’s classic 60s era logo in pearloid along with the traditional Les Paul Custom “split diamond” design. 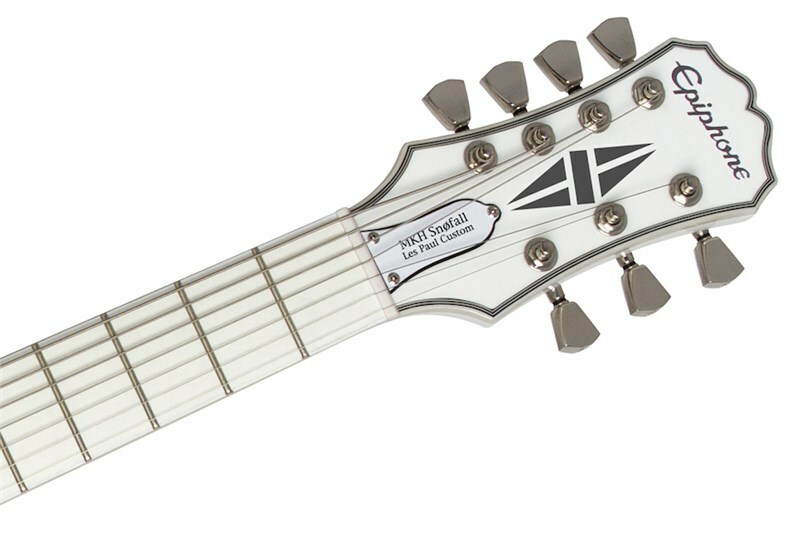 The guitar features Heafy's favourite active EMG pickups in custom white. In the lead position is an EMG-81, one of the most popular metal pickups ever made. Utilising powerful ceramic magnets and close aperture coils, the EMG-81 is designed for detailed intensity, incredible amounts of high end cut, and fluid sustain. In the neck position is an EMG-85 featuring Alnico-V magnets for a slightly more rounded tone. The classic combination of an EMG 81 with an EMG 85 in a Les Paul Custom offers metal guitarists an incredible array of extreme possibilities. 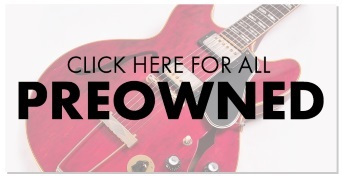 Epiphone’s no-compromise electronics include a 1/4” non-rotating output jack and volume and tone controls with White Speed Knobs powered by full-size 500K Ω potentiometers. The pickup switch is Epiphone’s all-metal 3-way pickup selector with a white toggle cap. An easy-access 9V battery compartment can be found on the back of the guitar. The Ltd. Ed. "SnØfall" comes with “Trivium” proof hardware including nickel 14:1 ratio Deluxe Diecast machine heads with metal Tulip Buttons, Epiphone strap locks, a LockTone Tune-o-matic bridge and Stopbar tailpiece combo, and an Epiphone Heavy-Duty ¼” output jack with metal jack plate. Both the 6 and 7-string "SnØfall" models include a premium gigbag and Certificate of Authenticity signed by Matt Heafy.